Wow! we truly had an ExtraOrdinary week with Brown Belt Nia Teachers. We balanced practice and teaching with playing. Each day the group taught a “JAM” class (this is where they each taught at least one song), guests enjoyed a class with Helen and received one-on-one specialized coaching with regards technique and teaching. Relaxing with hot tub, sauna and lap pool. 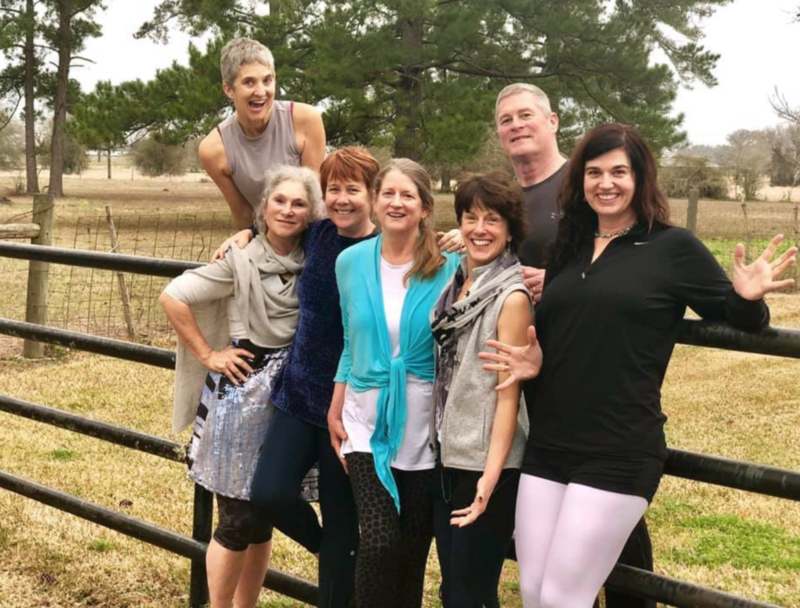 Exploring the area with field excursions to labyrinth, cowboy church, juice bar, boating on Lake Conroe, hiking in the Sam Houston National Forest, and (not to be missed) ChillerBee frozen yogurt! 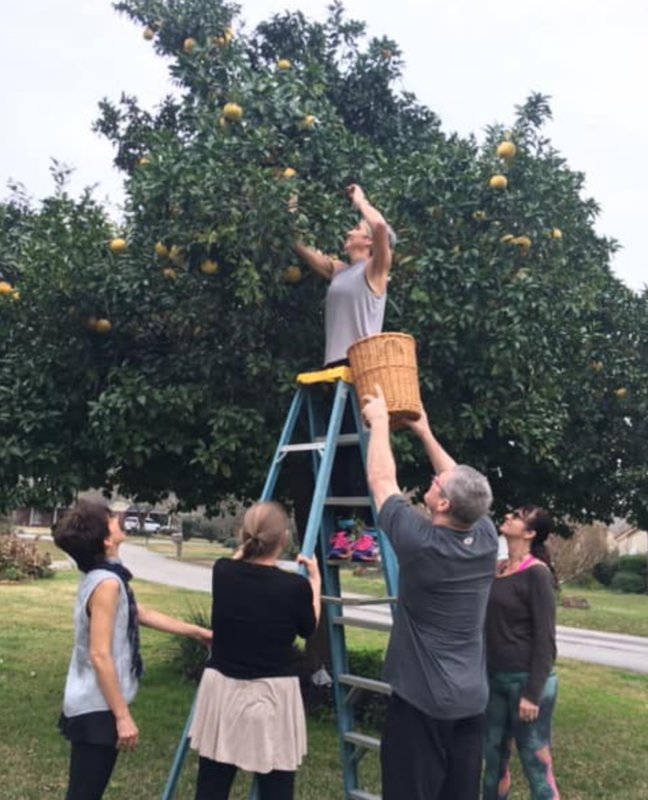 We even found time to pick grapefruits! Plenty of time having fun around the fire, sitting at the dining room table and walking around the property. “Nia Brown and above” teachers interested? save the dates Feb 1 - 7, 2020 and let Helen know ASAP, open to a maximum of 8 participants.